Data fields for event card such as – location image, get directions, add to calendar data field rows do not show up in the front-end calendar. 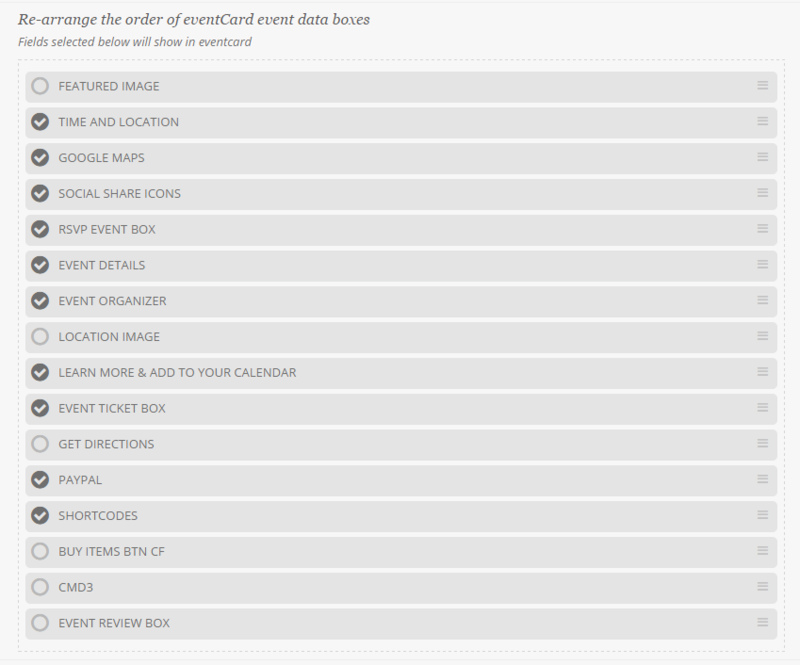 Go to myeventon> settings> EventCard under Re-arrange the order of eventCard event data boxes make sure this field exists and if so place it in the order you like and click save changes. Or move the field around and save.